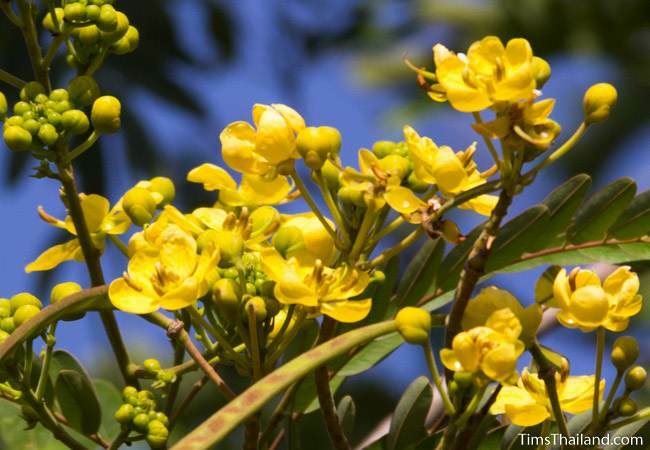 Siamese senna has beautiful bright yellow flowers with five scoop-shaped petals that burst out of a pea-sized bud. When viewed from up close, the long (15-25cm) flat seed pods stand out almost as much as the flowers. They change color from bright green to rusty brown and each of the 20-30 bean-shaped seeds are clearly visible because the skin wraps them so tightly. 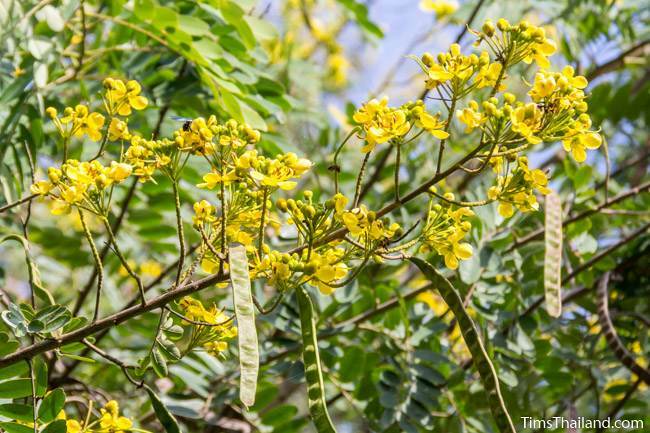 Siamese Senna is the provincial tree of Chaiyaphum. 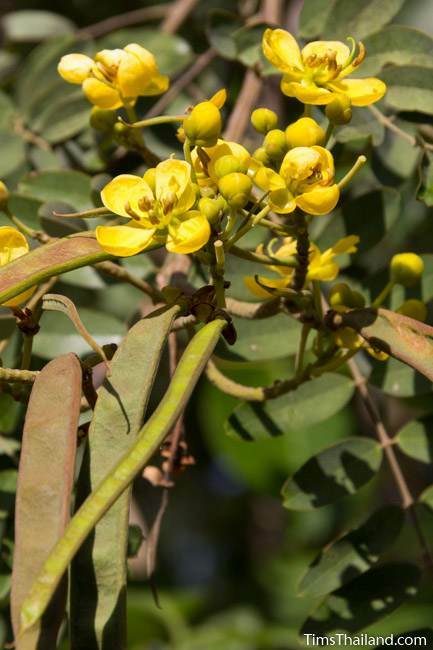 While the flowers and pods catch your attention, the leaves are the most notable part of this tree. 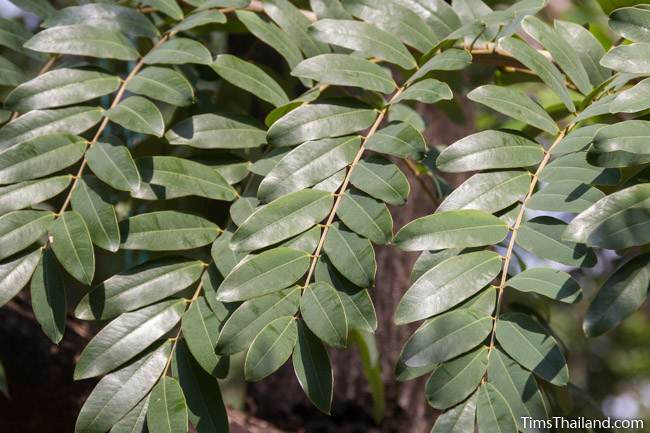 The pinnately compound leaves, stretching as long as the pods, are dark green with usually about six to twelve elliptical leaflet pairs. 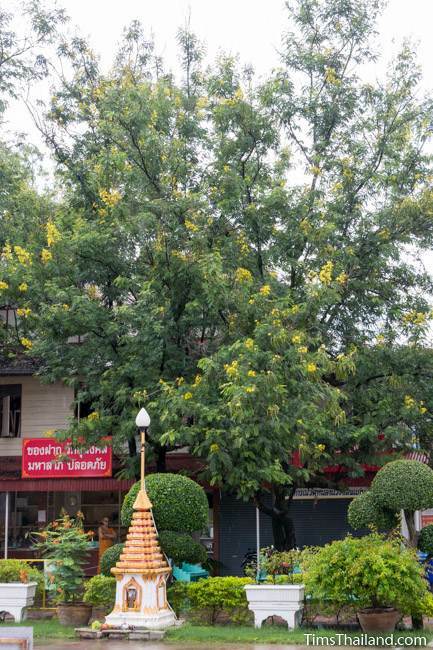 And as you would guess from the tree's Thai name – kee-lek (often transliterated as khi-lek) – Siamese Senna's leaves are the main ingredient of kee lek curry (แกงขี้เหล็ก), both the coconut milk-based southern version and the more earthy, coconut-less Isan version. 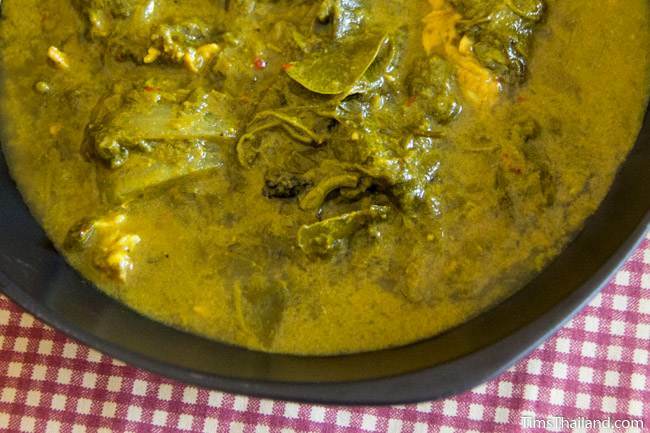 The leaves and the flower buds must be boiled twice or even three times to reduce the bitterness, and supposedly break up some toxins too.